When choosing a tea, the endless variety can be a little daunting. Formosa oolong? Green sencha? Perhaps genmaicha? How about pu’erh, or Darjeeling? What gives each of these teas its unique flavor? Many people don’t realize that these varieties' wide range of distinctive styles and tastes all begin with the same humble leaf: Camellia sinensis.Some of the earliest archaeological evidence documents the custom of tea drinking as far as 4,000 years back in China. Tea was (and still is!) an enormous export from China and for a long time was carefully guarded so that only dried leaves left the country. 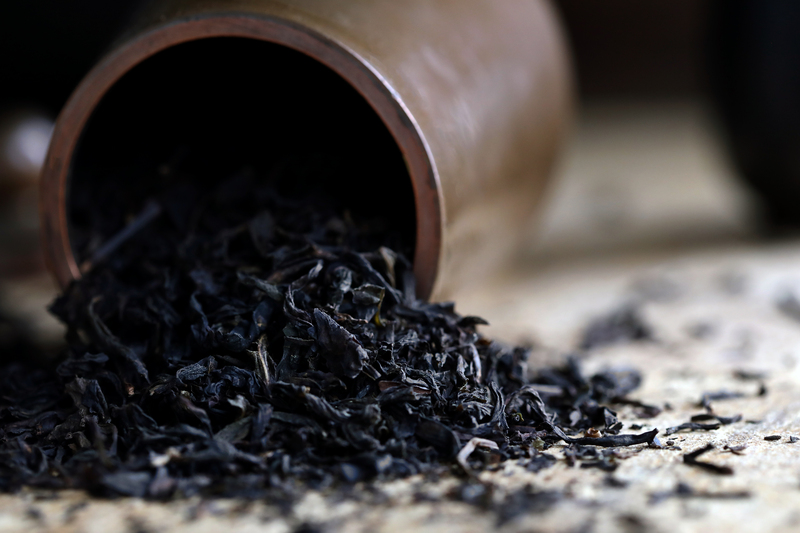 Without live specimens to reference, Carl Linnaeus, the “father of modern taxonomy,” concluded that black and green tea came from completely different plants. 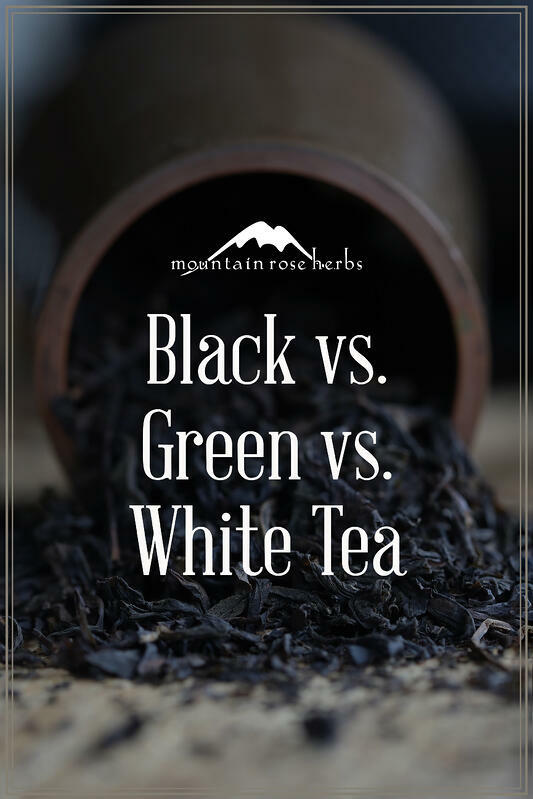 It was not until 1842, when English ethnobotanist Robert Fortune smuggled live tea plants out of China, that the tea drinking world discovered that green and black tea actually come from the same plant. Camellia sinensis is an evergreen shrub that can grow quite tall when allowed to do so, so much so that it often ends up resembling a tree in the wild. On tea plantations, the plants are kept pruned at waist height for the ease of the pickers. When harvesting, tea pickers are after the topmost growth, typically consisting of the two to four top leaves and a bud. Once the leaves grow large, they are much too tough and waxy for tea production. One major facet affecting the flavor of tea is the soil in which the bushes are grown, as each different region produces many unique flavor nuances. Those familiar with wine grapes will understand this concept well! This is definitely one of my favorite groups of tea! Black teas are fully oxidized after the leaves are picked. After the harvest, leaves destined for black tea are withered by having air blown over and around them. The leaves are rolled or cut. This process used to be done completely by hand, but modern machinery has taken over much of this process due to high global demands. The next step is oxidation, which is sometimes erroneously referred to as “fermenting,” though no fermentation is taking place. As the leaves oxidize, enzymes are released that change the color and flavor of the leaves. This process differs a little when it comes to pu’erh (a special black tea variety with its own unique preparation), which does require an additional step involving fermentation. After the leaves are dried, they are piled up to "cook" and then stored to age. Pu’erh tea can be left loose, or pressed into cakes. This process adds depth, smoothness, and complexity. Many say that pu’erh is an acquired taste, but it has been my absolute favorite since the first sip! Black teas take on a reddish to brownish hue when brewed. They are characterized by a range of flavors, including roasted, tannic, smooth, or biting. The process for creating green tea begins very quickly after the harvest. This is done by either steaming or cooking the leaves in the first few hours after plucking to keep them from oxidizing. 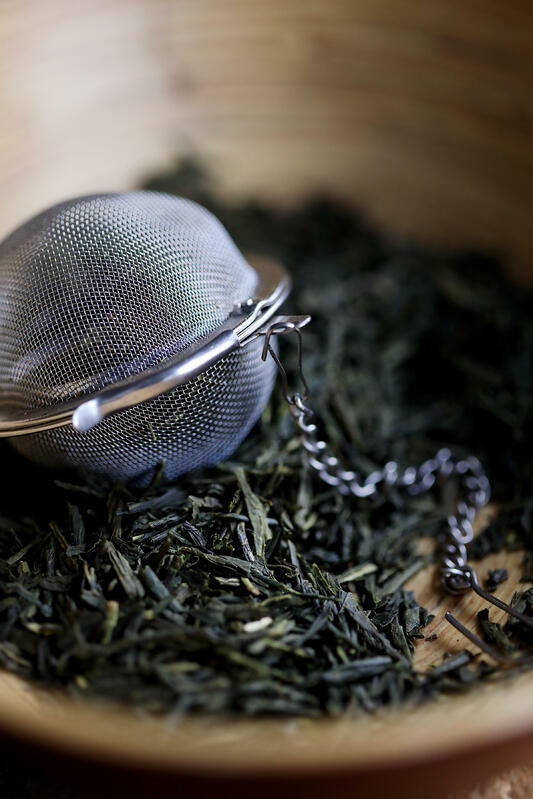 There are different styles for producing green tea that can involve pan-flipping the leaves, or rolling them (as is done with gunpowder green). 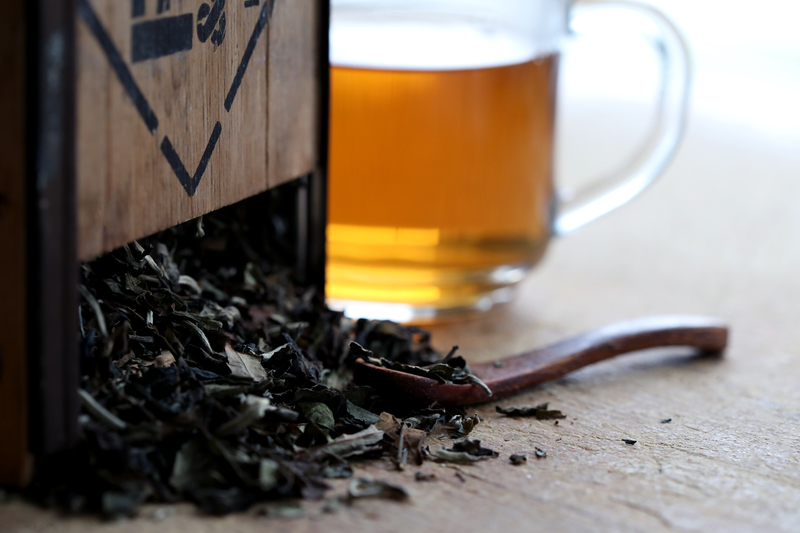 Brewed green tea leaves produce a light green to golden drink. The taste of green tea can vary immensely, from roasted, sweet, vegetal, or grassy to almost oceanic in flavor. These teas have the gentlest flavor out of the three. While they are growing, bushes utilized for the harvest of white tea typically have to be protected from the sun. Shading the teas decreases the astringency and boosts chlorophyll, resulting in a sweeter flavor. The young leaves undergo minimal processing and no oxidation to retain their delicate color and flavors. For white teas, such as our white silver needle tea, often just the very top, unopened leaf bud is picked. Other varieties, such as Kumaon white tea and white peony tea, are made from slightly larger and more opened leaves from the top of the plant. The resulting brew from white tea leaves is usually very pale and clear, reflecting the delicate nature of precious white teas. Growing Conditions: Teas that are shade-grown, such as the popular green variety, matcha, are almost always higher in caffeine than other varieties, regardless of color. Cut Size: Tea leaves cut into smaller pieces release caffeine quicker than whole leaf varieties because of the decreased surface area while steeping in hot water. Water Temperature: Using water that has reached boiling temperature will also result in a cup that is more caffeinated than brewing at a lower temperature. Plant Part: The top leaves of tea plants typically contain higher quantities of caffeine than the lower leaves. Kukicha tea is naturally lower in caffeine because it is made up of gently roasted twigs instead of leaves. Start small! One teaspoon for every eight ounces of just boiled water is a good starting point. You might be surprised how easy it is to add too many leaves. Take into consideration the size of the leaves as well. Are they cut into smaller pieces, or will they unravel as they steep like gunpowder green tea does? In the case of teas with larger leaves, it’s best to use less tea so the brewed cup is not overpowering in its strength. I have been a dedicated tea drinker for many years, and I like my tea strong. In my morning cup, I tend to use at least a tablespoon of tea in a 16 oz. mug for a strong black tea. When I brew green tea, I don’t use as many leaves in order to keep a lighter flavor, though that is my personal preference. My favorite way to brew a nice cup of green or black tea that lasts for multiple steeps is to start by only submerging the leaves for about one minute the first time. This first cup is flavorful and caffeinated, and due to the short time spent in the water, my second and third cups will be just as good! Typically, I add about 30 extra seconds with each subsequent brew. Adding your preferred milk is a good way to combat bitter tea, as the fat molecules bind to the tannins. The Taoists say that tea is a delight to the soul, helps to strengthen the will, and is an essential ingredient in the elixir of immortality. When you go to your tea cupboard to brew a satisfying mug, which tea delights you? Want to Discover New Brews to Inspire You? 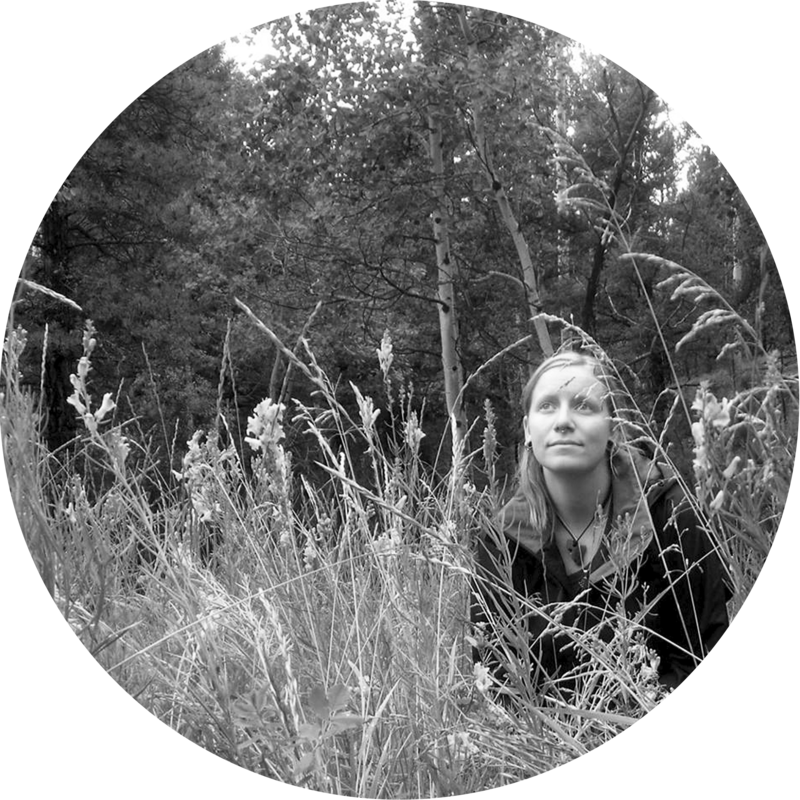 Explore Our Online Catalog of Organic Teas!